At one point, League of Legends was dominated by one team: SK Telecom T1. At virtually every tournament they went to, they made it to the finals, never faltering for one second. Their wins were swift and their playstyle was ruthless. They were a coalition of well-rounded players with immense talent that couldn’t be matched anywhere else in the world. But that was pre-2018. So far, since 2013, they’ve won three World Championship titles and two Mid-Season Invitational titles. At their best, they were the most dominant team in the world with no real competition standing in their way. This could be attributed to their star player, Lee “Faker” Sang-hyeok, being surrounded by a team of solid players that knew how to work around different areas of the map and let Faker play how he needed to play. But in 2018, everything fell apart. SKT couldn’t find a solid lineup that would work to their favour and they were constantly switching in new talents. But these new talents couldn’t match SKT’s requirements and the team ended up having their worst year ever, not even qualifying for the 2018 World Championships. Now, in the off-season, SKT has acquired some new players and these new players have a good shot of turning SKT into the powerhouse it once was again. SKT went through a roster overhaul, signing several new top players. Some of these signings stand out more than others. Their biggest signing, perhaps, was Kim “Khan” Dong-ha, the former top laner for Kingzone Dragonx. 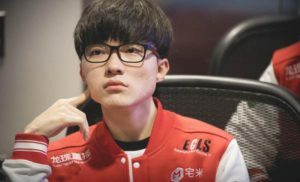 His aggressive playstyle and carry potential will bode well for SKT’s early game and give a gate for Faker to make the plays that won SKT World Championships. They also signed Cho “Mata” Se-hyeong, a world-class support player who has played for the likes of Samsung White, Royal Never Give Up, and KT Rolster. During his career, he’s accumulated several Korean and Chinese titles alongside a World Championship title in 2014. 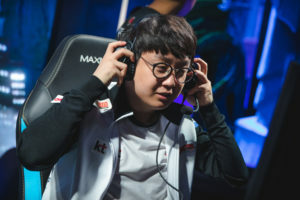 His strong map control and ability to dominate on Thresh will open up opportunities for SKT to make plays in the bot lane, something that will be needed now that South Korea Telecom’s former duo of Bae “Bang” Jun-sik and Lee “Wolf” Jae-wan are gone. They also picked up Park “Teddy” Jin-seong, a lesser-known AD Carry from Jin Air. While his name may not be known across the world, he’s still a threatening presence on the Rift. He plays late game team fights extremely well and can be the key difference to whether a team wins or loses the match after the 30-minute mark. All three of these players bring something distinct to the once powerhouse franchise of the LCK and with Faker leading the pack, there’s a good chance this org can return to its former glory once again. One of the things that SK Telecom lacked in 2018 was team synergy. Everyone seemed to be doing their own thing and this led to confusion and disarray in the team fights. Each of the major players picked are veterans at League of Legends and thus, know what it’s like to compete on the main stage. I have no doubt that it will take time for each of these players to get to know each other and learn their ins and outs but over time, the synergy will appear. Khan is a carry player that leads the pack and with Faker backing him, they’ll be an unstoppable duo. Then there’s Teddy and Mata. With Mata’s map control and selflessness to the game and Teddy’s dominance in the late game, they have both the early and late game covered. On paper, the chemistry of this team is already hard to match, giving SKT a chance at redemption for the 2019 season.